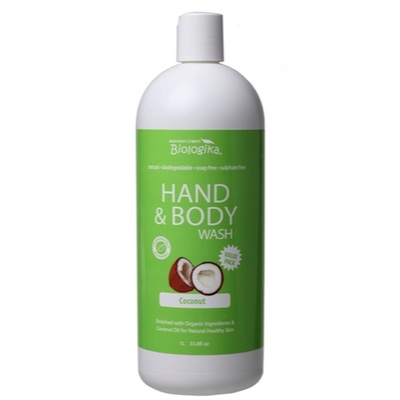 Hand & Body Wash Therapy range, Enriched with Organic Cocoa Butter, Kiwi and Kakadu Plum Extracts. Available in 1 Litre, 500ml & 250ml with pump. Coconut Oil has been added for its nourishing properties and as an effective moisturiser. Due to its antioxidant properties it is a safe solution in helping prevent dryness, flaking and premature ageing of the skin. - A gentle formula for everyone to Enjoy! !